And one of Dell’s entrepreneur customers, the interdisciplinary artist Kathryn Zaremba, is poised to take advantage of this trend and, in fact, may be one of the catalysts for the renewal in wallpaper popularity. Hers is not the mirrored and flocked wallpaper of my 1970s childhood, however. Zaremba’s designs include everything from swans and avocados to Matisse-inspired abstracts. She spent time on theater sets and sound stages during her first career (yes, while many her age are still figuring out their first, Zaremba is onto her second career). Zaremba experienced coast-to-coast art galleries, stage sets and science museums, which became learning labs for her future illustrations and designs. Zaremba stepped away from stage and screen to attend the Kansas City Art Institute in Missouri and went on to graduate school at The Corcoran College of Art + Design in Washington, D.C. It’s also where she founded her wallpaper business and co-founded The Lemon Collective, a workshop space in Washington D.C. that is focused “mostly on making and makers” The Washington Post reports. Starting these endeavors after college, however, she did not have access to the same high tech equipment she did while in school. 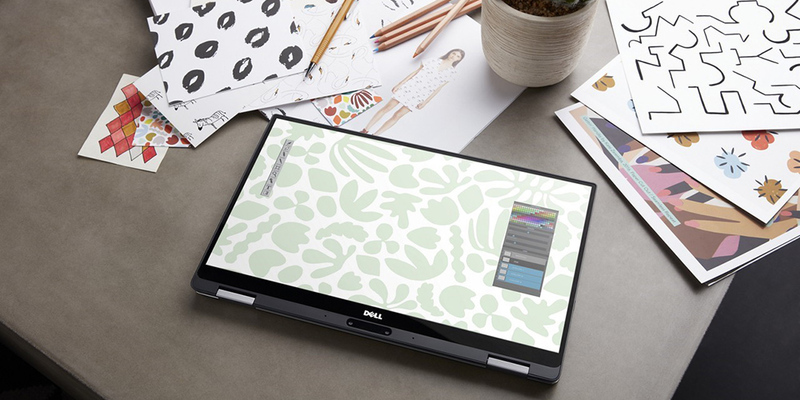 She connected with a Dell Small Business Technology Advisor who had tips on what tech would be good for her business – including a Dell Precision All-in-One.